Your overall goal should be to em-phasize positive thoughts, proper preparation, and how much fun jiu-jitsu is supposed to be. 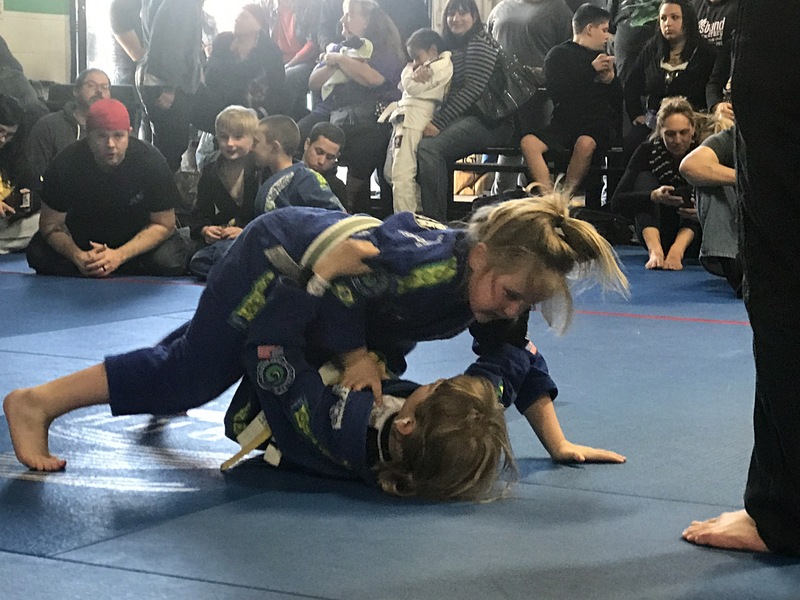 Tournament competition is a great way to help further your child’s jiu-jitsu and in addition, tournaments cultivate a competitive spirit and confidence. Leading up to a tournament remember the preparation component we discussed earlier. If a tournament is in your child’s future, it is highly recommended that they get to class regularly. As the tournament approaches, the focus should be on your child’s technique, their diet and their sleep routine. Your overall goal should be to emphasize positive thoughts, proper preparation, and how much fun jiu-jitsu is supposed to be. Hopefully, your child’s instructor will be on hand to coach from the sidelines. If their coach is there, let him coach. At the tournament you should certainly be a supportive parent but by supportive I don’t mean yelling out, “Kill him Johnny!” Stay clam and respectful no matter how the match is going. It’s definitely hard not to get excited when your child is on the mat, but just don’t get too intense. Your child can easily pick up on your emotions and that could cause them to lose focus on their match or ignore their coach. Some kids like hearing their parents cheer for them, others don’t, so talk to your child ahead of time and ask them what they’d prefer. Whatever your child tells you, respect it. Take the high Road! Some parents take their child’s jiu-jitsu way too seriously. You know who I’m talking about, the one screaming, “Kill him Johnny,” at the top of their lungs, coaching over the instructor, arguing with referees and criticizing their kids after their matches. Don’t fall into this trap. If you run in to one of these parents (especially if their kid is going against yours) take the high road. Don’t stoop to their level and avoid contact with them. While it’s unfortunate that some parents choose to conduct themselves in this manner, confronting them or telling them how to raise their child is only going to make matters worse. It’s regrettable that a child has to deal with such pressure on their performance but the best thing to do is to move on. Hopefully your professionalism will sink into those around you. When all is said and done, win or lose, be encouraging. Point out all the positives; all the things they did right and especially their willingness compete in the first place. Just competing is a win in itself because it takes a lot of guts to compete in jiu-jitsu tournament. If your child loses their match, look at the defeat as a basis for him to grow, as an opportunity to develop their skills and as an exercise in how to keep a positive attitude.